Mr. Poyer brings over 30 years of commercial real estate knowledge and experience in a wide variety of disciplines to the West Bay team. 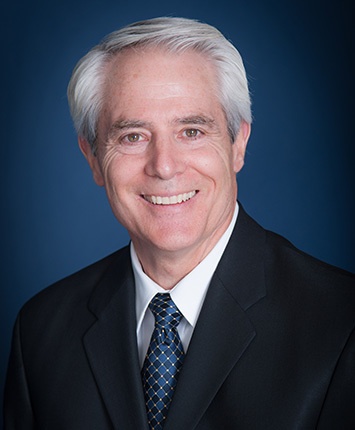 He began his career with Charles Dunn Company in 1981 with a focus on retail sales and leasing. Later on, he developed a niche specializing in institutional property sales and represented numerous religious and educational entities in the acquisition and disposition of various real estate properties throughout the Western U.S. While at Charles Dunn, Mr. Poyer received numerous sales honors including the Salesman of the Year Award for the entire company and eventually was named a Partner in 1986. His leadership and sales abilities were evident early on and he was given the responsibility of training new sales associates throughout his 18-year career with the firm. In 1998, Mr. Poyer joined Daum Commercial Real Estate Services, where he added office leasing services to his repertoire. Working with an ever-expanding client base his success continued at Daum. In 2001, he left Daum and joined Capital Real Estate Advisors and Capital Lending Resources where he continued his commercial real estate specialties and expanded his services to include commercial and residential financing. Mr. Poyer holds a California Real Estate Broker’s License, is a member of the International Council of Shopping Centers (ICSC), and is an alumnus of Rainmaker U. He has remained active in his church – St. Maximillian Kolbe in Oak Park and his alma mater – Notre Dame High School in Sherman Oaks, and has served on an auxiliary board at Mt. Saint Mary’s College in West Los Angeles for over 10 years. Mr. Poyer is married with two adult children, one grandchild and is a graduate of California State University, Northridge (CSUN).